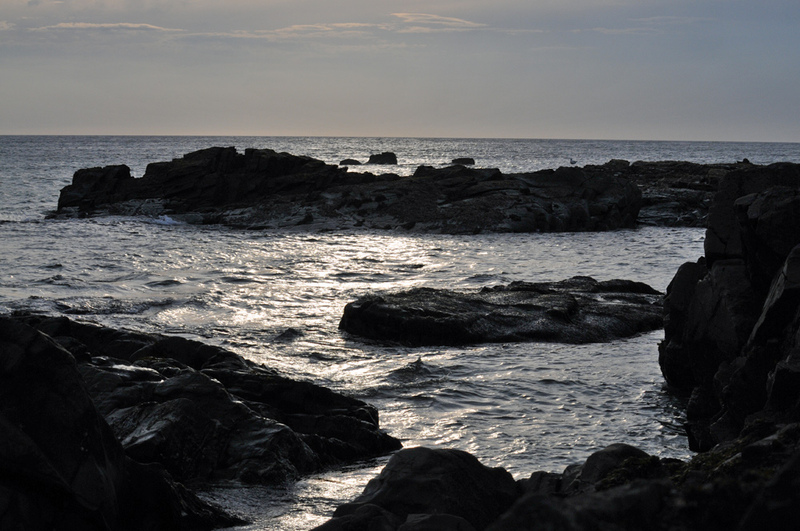 A rocky shoreline at Saligo in the hazy mild evening light, small waves lapping at the rocks. This entry was posted in Cloudy Weather, Landscape, Repost, Sunset and tagged Islay, Rhinns of Islay, Saligo by Armin Grewe. Bookmark the permalink.